Read an excerpt "Down the Rabbit Hole". As a social policy scholar, Campbell thought she knew a lot about means-tested assistance programs. What she quickly learned was that missing from most government manuals and scholarly analyses was an understanding of how these programs actually affect the lives of the people who depend on them. Using Marcella and Dave’s situation as a case in point, she reveals their many shortcomings in Trapped in America’s Safety Net. Because American safety net programs are designed for the poor, Marcella and Dave first had to spend down their assets and drop their income to near-poverty level before qualifying for help. What’s more, to remain eligible, they will have to stay under these strictures for the rest of their lives, meaning they are barred from doing many of the things middle-class families are encouraged to do: Save for retirement. Develop an emergency fund. Take advantage of tax-free college savings. And, while Marcella and Dave’s story is tragic, the financial precariousness they endured even before the accident is all too common in America, where the prevalence of low-income work and unequal access to education have generated vast—and growing—economic inequality. The implementation of Obamacare has cut the number of uninsured and underinsured and reduced some of the disparities in coverage, but it continues to leave too many people open to tremendous risk. Behind the statistics and beyond the ideological battles are human beings whose lives are stunted by policies that purport to help them. In showing how and why this happens, Trapped in America’s Safety Net offers a way to change it. "Amid bitter partisan controversies, it is all too easy to forget what assured health insurance, long-term care for the disabled, and other basic social supports are all about—helping individuals and families in times of need or unanticipated emergency. 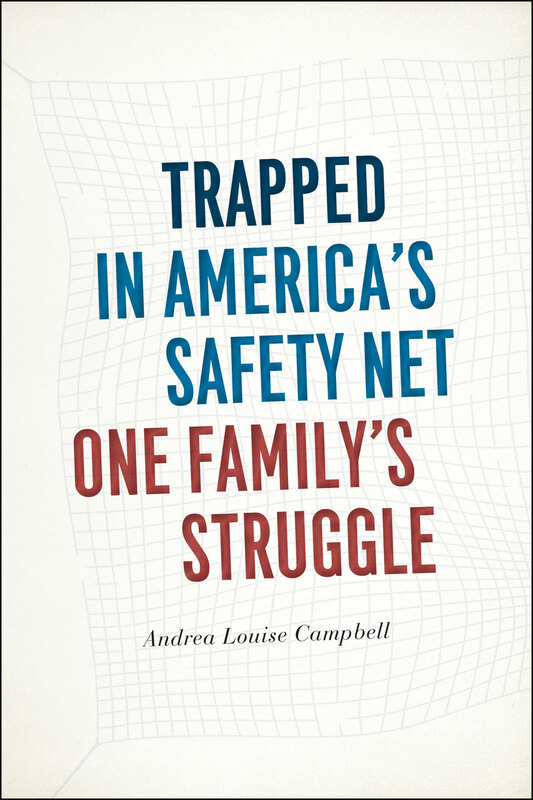 Campbell is a world-class expert on public social provision, who uses a terrible auto accident that happened to her own young sister-in-law to reveal the sorry state of US social protections for many citizens of modest means and to remind us what is at stake in ongoing efforts to improve vital social protections for all Americans. Her book is at once emotionally wrenching and eye-opening about how far America has to go to create a true safety net for its citizens." “This is a remarkable, astonishing book, at once a comprehensive reference on the American social welfare system and an engaging narrative account of how social assistance programs shape real people’s lives. Campbell is authoritative and scholarly, yet warm and personal—a rare combination one sees in the likes of Oliver Sacks and Barbara Ehrenreich."